Michelin star chef Jason Atherton, former employee of renowned chef Gordon Ramsay, recently called for more openness towards vegan food within his profession. According to Atherton, too many cooks are still sceptical about veganism, although the trend is becoming increasingly widespread. In an interview with The Telegraph, the entrepreneur and owner of 17 restaurants speaks openly about veganism and plant-based cuisine. 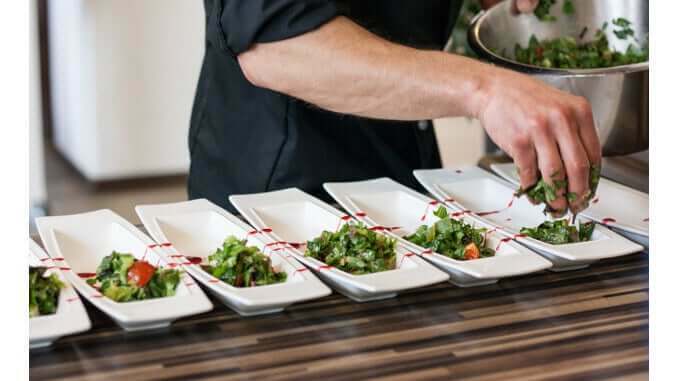 Although he is regarded as quite a conventional representative of his profession, he has noticed the increasing demand for vegan food and sees great potential for his own industry. He is now trying to make even more vegan options available for his customers – not least for economic reasons. Atherton appeals to his colleagues to do the same. “The more people make fun of it [veganism], the more they alienate the growing community that’s demanding vegan food. Bosses have to accept this, and if they don’t, they’ll be forced to do so. If restaurants don’t cook for their customers, they won’t come back,” he says in the interview. The star chef, however, is not the only one who wants to promote the vegan movement in his industry. Other Michelin restaurants, such as the Benares in London, also offer animal-free food. The “Noma”, winner of the title “Best Restaurant in the World”, has also recently reopened and now focuses on seasonal, vegan-friendly food.